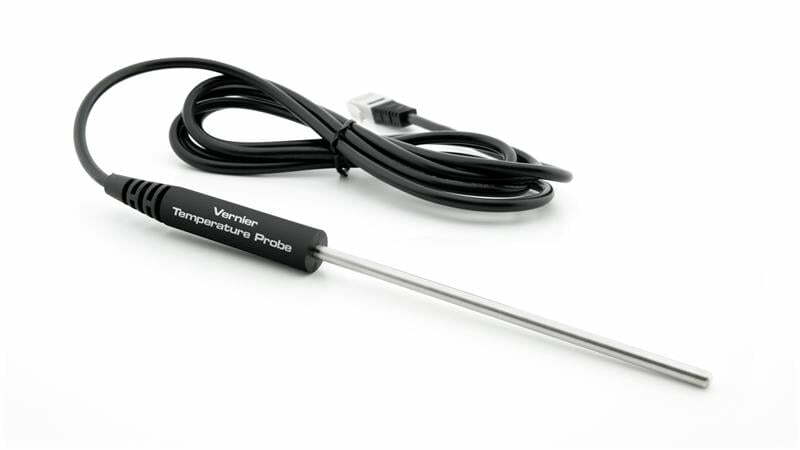 This rugged and durable temperature probe has a sealed stainless steel shaft and tip that can be used in organic liquids, salt solutions, acids, and bases. This probe is the same as the probe shipped with CBL 2. The Stainless Steel Temperature Probe requires a compatible interface and software to collect data. Interface and software sold separately.